Content Marketing Institute defines content marketing as a technique that pertains to the creation and distribution of content for the purpose of attracting and acquiring a target audience. Content created and distributed must be valuable, relevant and consistent enough to attract the right audience. Through this, the firm implementing this method may drive profitable customer actions or conversions, in digital marketing lingo. Unfortunately, unless businesses will view the tactic as a way to educate its target audience and not ultimately for profitability purposes, content marketing will only be seen as another chunk of the marketing budget. It is not and would not be if you'll view it as an important tool that bridges your business and the people who want and would eventually consider transacting with you. 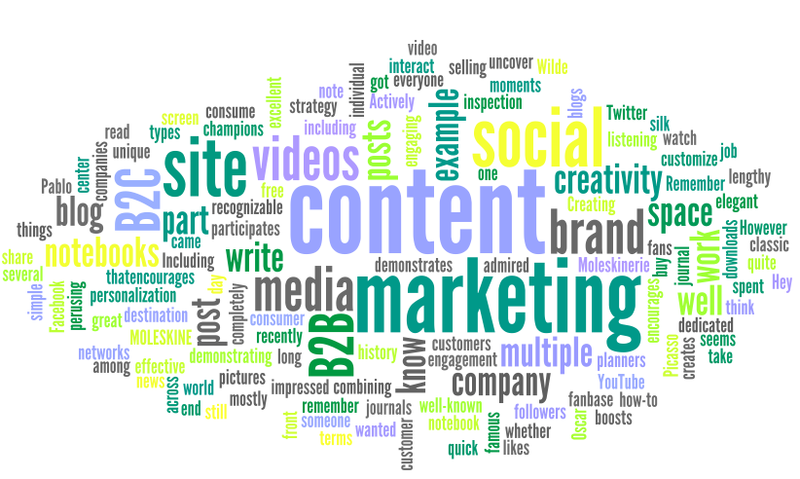 Whether content marketing is a bane or boon for your business is not yet known. It would be wise to look at how it can be a benefit or a detriment to all business in general by learning the pros and cons of such. Through high-quality content publication, your business – through your website – becomes the go-to source of information. This applies in particular if you can demonstrate your expertise through the articles, blog posts, podcasts, videos, etc. you publish on your site and your official social pages. Psychology works here wherein an individual based his or her decisions on the first piece of information he or she receives. That's anchoring, which brings us to our next pro. There are two optimization-related opportunities that you can explore with content marketing. First, through putting long-tail keywords and second, through including a call to action. You'll be able to sift through your audience profile and leave those who are simply browsing your website to make room for those who will actually convert. The right content gains traction with the right audience which translates to qualified leads and hence future customers. Since every content has a possibility of virality, it can drive brand awareness. Content, especially when it provides unique and useful information, helps in promoting your business. And if you consistently produce pieces of content that are instructive, inspiring, and entertaining or content that is founded on positivity, your audience may perceive your brand as a familiar face. In the end, you can even build a community of brand advocates. Speaking of which, should you publish these types of content, people will gravitate towards your content, your business, your products and services and one another. You will inspire the people to share content that they think is worth the while of other people. In passing along the knowledge, your audience will begin chattering about what you will be saying next. In this way also, the pieces of content that are yet to be published will boost their own reputation. The conversion power and potential of content marketing cannot be emphasized enough. When you post content that the people want to consume and share, your conversion rate will increase. Although this will depend on your chosen conversions (likes, shares, comments, sales, etc. ), as you give them instructions explicitly on the required actions on their part, they will do it. Humans are wired that way, right? If someone gives you valuable information too hard to ignore, you will feel indebted to that person. The least you can do for him or her – in our case, for the brand – is to share the social update, for instance, to return the favor somehow. Now, let's take a look at the content marketing cons. 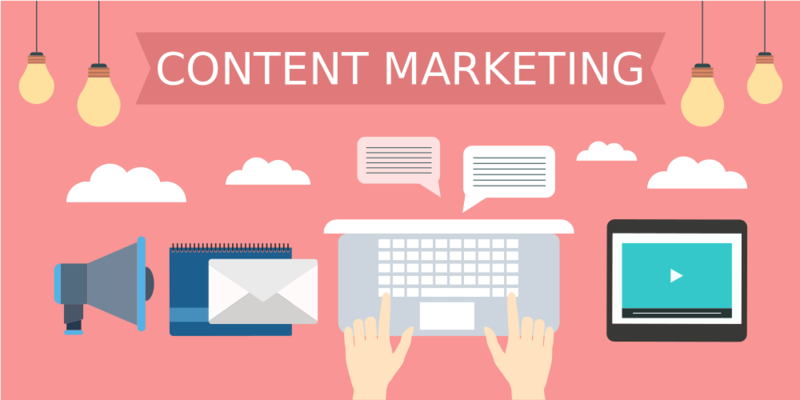 Like any other marketing endeavors, content marketing also requires a budget although it may not be as high as that of allocated to other forms of marketing. It's not free wherein you are going to need money from the planning to the execution stages. If you cannot devote a budget for this, you cannot expect to attract readers. What more a following and loyalty? To become a reliable source, there must be an obvious devotion to producing strong content persistently as part of your commitment to your audience. Other the financial support, it also requires effort, time and commitment. Content marketing is a long-term strategy. You cannot build a strong following overnight. You have to build trust first before you can build your own community of people who want to read, watch or share your content. Likewise, you will need people to create the content for you including writers and graphic designers among others unless you are adept at both aspects. Don't forget the need to produce create in a consistent manner. Otherwise, you cannot call it content marketing. Not because you have the creatives on board you'd be able to produce creative outputs continuously. Creating highly engaging content on a regular basis is difficult especially when your products and services limit them. They have to let the creative juices flowing, or they won't be able to expand and eventually become irrelevant. Emotional connection, particularly on social media, is pivotal. So, if the content you produce cannot evoke the emotional response from the intended audience, then it is superficial – no real value is provided. While virality must not be the goal of content marketing, you should create content that will move your people and compel them to share it, believing that it can move others in the same way. The struggle to produce content that appeals to the masses is real. Essentially, content marketing is the link that connects your business and your target audience. The actual audience may relate to the published content a personal level and would want to know more. It also creates ripples and let other people find your content in more ways than one – social is just one. Why? Call it virality, but it's because of the eagerness of the people to pass idea, knowledge, and information. Thoughtful works get the appreciation they deserve. Although it is not an easy task and requires an investment, those people who have already find themselves immersed in your content will be substantial for your business. These people with whom your content have already resonated with will commit to an investment in your ideas and insights by means of reading your work and sharing them if they are moved. So, yes, while the process of producing targeted content is sweat-worthy, the returns are always worth it. Going back to the question, content marketing can be a bane if you don't have the resources to keep it going. It can be a bane if you have the resources and if you do it correctly and consistently. It is a valuable tool, but only you can make sense of its value since it depends on the amount and extent of effort you are willing to put in it. Remember, this strategy is a whole new ball game, but it suits virtually all businesses. It's either you do content marketing now and realize the bane or dwell on the boon and lag behind the competition. You make the call. I just wanted to compliment you on your excellent website. This article is very informative! Thanks for sharing! The only difference between you and your competition is your Influence.